The Namibian fishing industry will be allowed to catch close on half a million tonnes of various fish and crustacean species during the next year’s fishing season after Cabinet has approved the annual total allowable catch as proposed by the Ministry of Fisheries and Marine Resources. 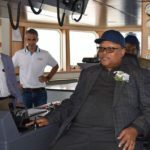 The Minister of Fisheries and Marine Resources, Mr. Bernard Esau, said during the christening of a brand new purpose built fishing vessel in Walvis Bay that all necessary steps were taken in determining the annual total allowable catch. 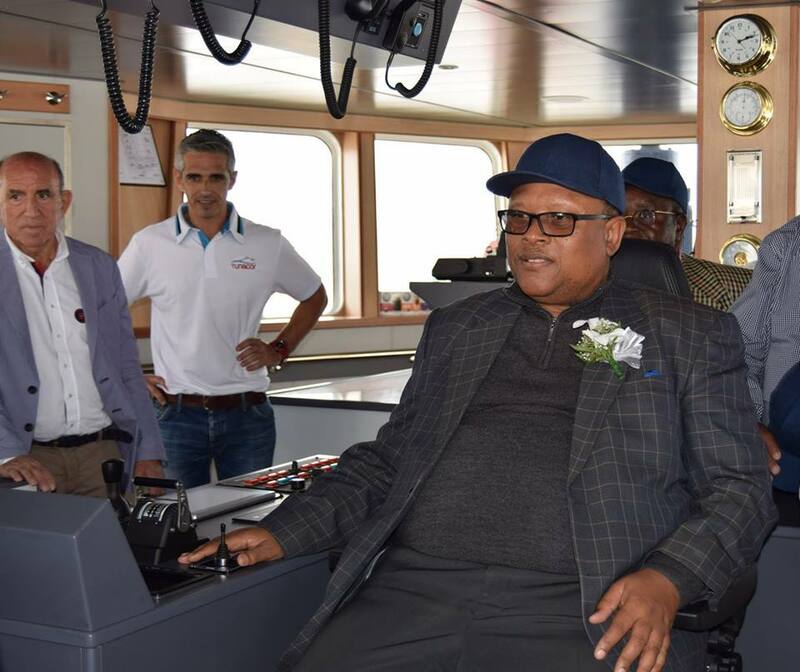 With regard to the allocation of fishing rights Minister Esau said that an overwhelming amount of applications were received on the deadline at the end of August this year. He said prospective right holders will have to wait until next year to hear if their applications have been successful. “Officials involved in the process of selecting 120 new right holders out of the more than 5 000 applications received proved to be a task that could not be completed in the time the ministry allotted for itself to do so. We cannot just pick and choose. Every application received will have to be considered and that will take some time still,” he said. With regards to the total allowable catch Cabinet approved that that the fishing industry will be allowed to catch 349 000 tonnes of horse mackerel and 3 900 tonnes deep sea red crab. The season for these two species is set to start on the first day of January and will end as always on the 31 December 2019. A TAC 154,000 tonnes of hake was also approved. The season for hake started on November 1 and will on September 30, 2019. Cabinet also approved a TAC of 200 tonnes for rock lobster for the new season, which also began on November 1 and will continue until April 30, 2019.